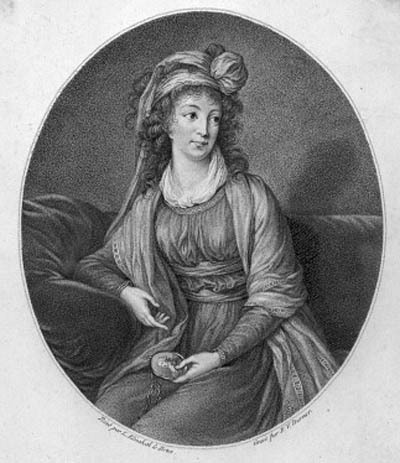 This is Franz-Valentine Durmer's engraving of Vigee Le Brun's painting of Mme Razoumoffska. 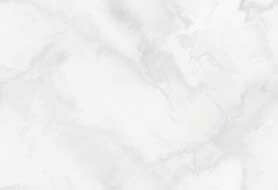 The acual painting is lost or unlocated. Reference Kimbell Exhibition Catalog Number 45 for more details. Mme du Barry is 46 years old in this portrait. 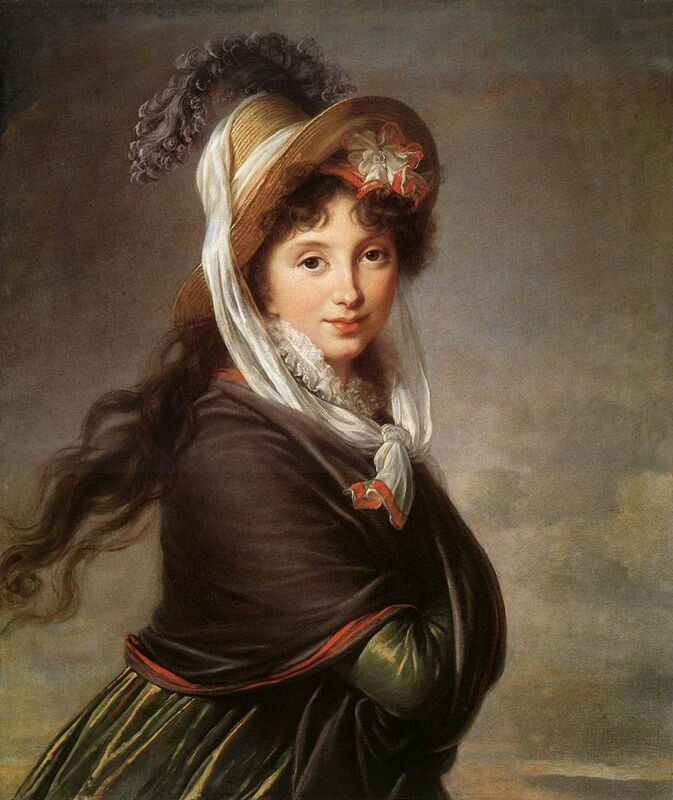 "The third portrait I made of Mme Du barry [was begun] towards the middle of September 1789....I had painted the head and traced the outline of the body and arm....My fear reached a peak and my only thought was to leave France, so I had to abandon the painting half finished. I do not know by what stroke of good fortune M.le Comte Louis de Narbonne found himself in possession of it during my absence; on my return to France, he gave it to me and I have only just completed it" Vigee Le Brun. The painting was finished around 1820. 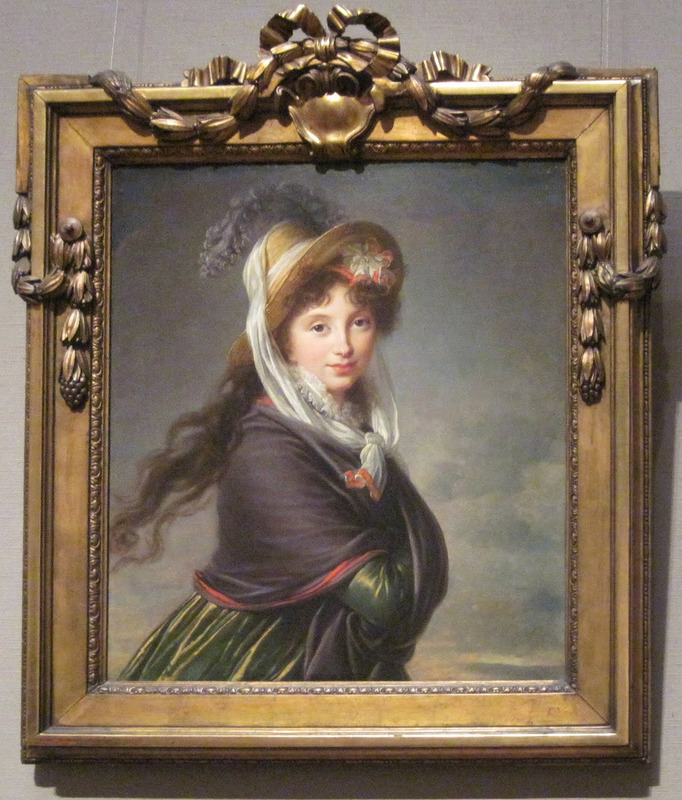 According to her memoirs Vigée Le Brun painted three portraits of her: 1781 Countess du Barry (w/straw hat), 1782 Mme.du Barry (full length w/wreath in hand), 1789 Mme.du Barry. Refer to the Mme. du Barry page at this web site.